2016 has come to an end!! It’s December and we are about to close the season with much excitement in heart. The twelve months of the year had introduced many designer apparels that bought life to your personality. The exciting pieces when decorated in your closet transforms your everyday look. The different tried and true trends let you imagine a new you in yourself. Elegant, impressive yet bold, an embellished top detailed with statement accessories make you an attention grabbing lady. A neutral top complemented with solid colored silhouettes let you look as pretty as a picture. Pair the top with dark colored jeans or skirt to get noticed everywhere. On that sparkly event, the best way to make a statement is by slipping on the luxurious dress that is embellished all over. Accompanied by a clean makeup and bold lip shade, the apparel makes you paint the town red. Also, a sleek hairdo is the best-kept secret to personify your bold attitude. 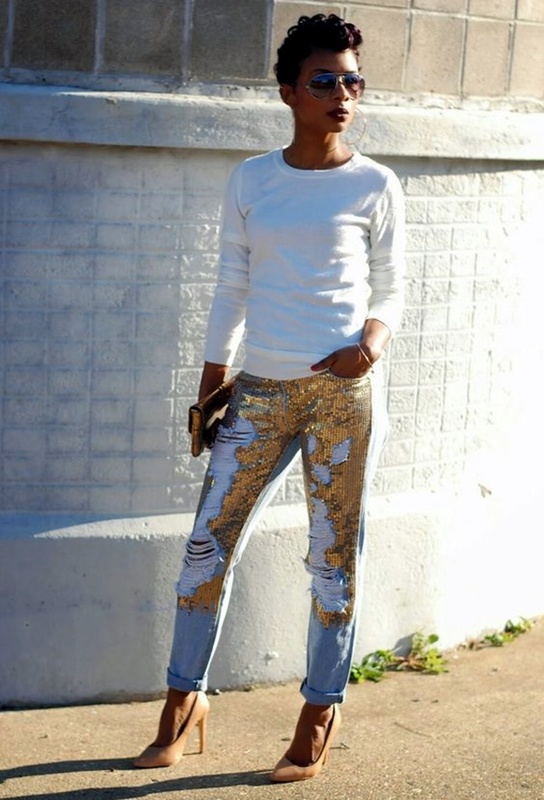 An embellished denim is a hot ticket to the fashion world. A detailed jeans heightens your personality and offers you a bold touch up. Whether you pick the geometric patterns or floral designs, a decorated denim lets you cut a dash immediately. Pick a neutral shade top to pair it up with a detailed bottom. Do not forget to walk confidently by slipping on the glamorous high-heeled pumps. Click here to get inspired from top cold-weather style. The monochrome winter look can now be broken up with a bejeweled sweatshirt. A casual sweatshirt can now be transformed into something extraordinary by detailing it up with beads. Pick a detailed grey sweatshirt and complete the look by teaming it up with black jeans. 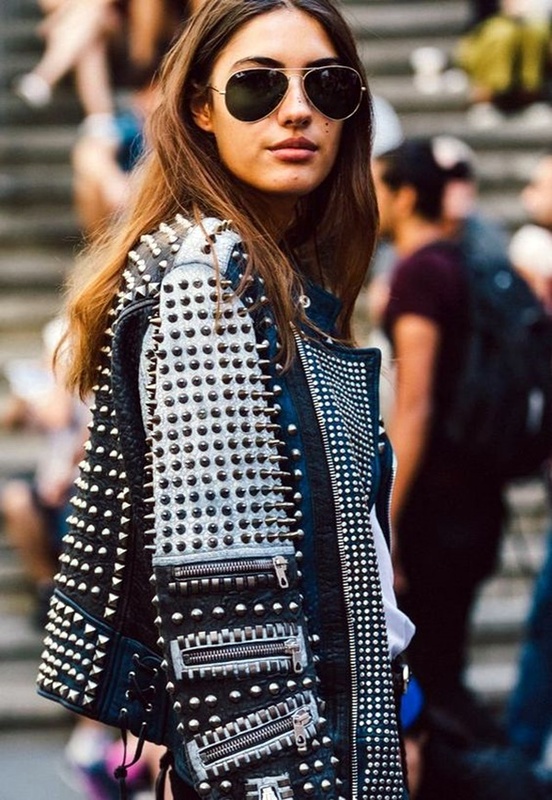 A celebrity-inspired look can quickly be achieved with an impressive studded biker jacket. 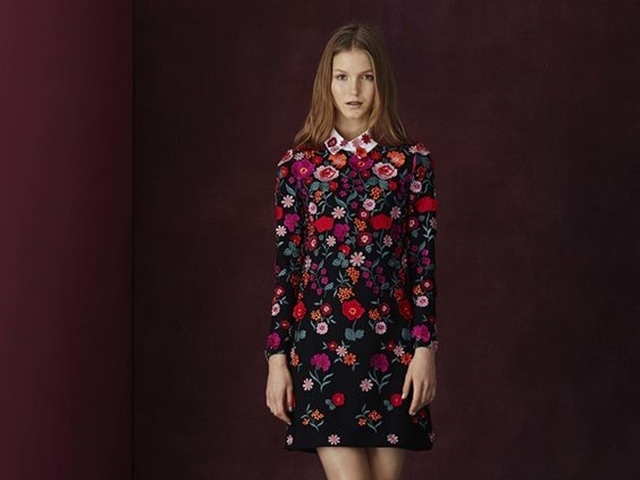 By enhancing your boldness, the details add a feminine-touch too. Though, it’s a bit tricky to style this men’s fashion item but still we present some of the best and most versatile ways to wear a tweed jacket! Pair it up with a full skirt to accentuate your personality. For that relaxing spring, crop tops reign supreme. Find an embellished piece that lets you look beautiful in no time. To achieve a casual feel, make a high-bun and match it up with knee-length flared skirt. It’s a trend of the fall and is available in different variations. The metallic pleated skirt available in myriad fabrics including velvet, striped, and satin is widely in rage. Pick any shade and get glamorous by pairing it with a worthy top. This fall, get out from the boring boots and go bold with embellished boots. Hunt for metallic, glitter leather that adds fun to your attire. Both embroidered and embellished, ankle boots available in fun colors is truly worthy to embrace your beauty. So, do not wait for long? Bring the above-mentioned celebrity-inspired embellished fashion staples and let your personality speak volumes.